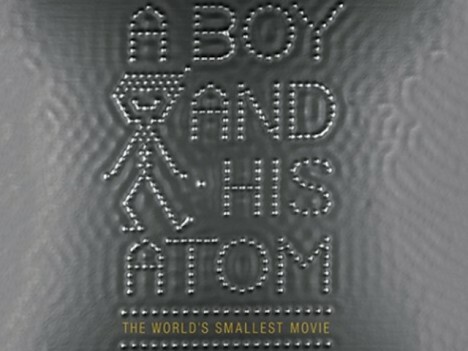 Magnifying atoms by over 100 million times, this remarkable film uses individual molecules to create a short story of A Boy and His Atom: The World’s Smallest Movie. Part art project and part guerrilla marketing for IBM, which is exploring atoms as the smallest possible units of data storage, the tale is relatively simple, but the scale is beyond belief. 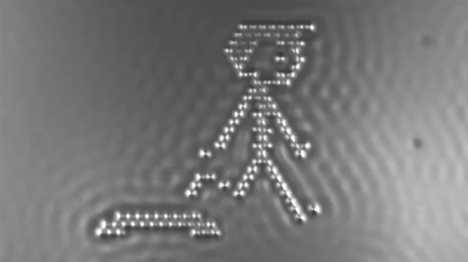 This stop-motion flick involves moving atoms frame by frame, then taking images of each state, much like claymation or other similar kinds of animation. While the results may look low-tech, they show off just how much control we can have over moving parts at the tiniest of levels, with implications for and beyond the world of computing and data storage. See more in Art of Tech or under Technology. March, 2016.